Growing up in Malaysia, papaya was as ubiquitous a fruit as the banana. It was not my favorite fruit back then. I guess absence does make the heart grow fonder. Now, every summer when papayas start appearing at the grocery stores, I would buy a small one for Ro-Ri San and myself. Usually, we would just cut and eat it as a dessert after dinner. 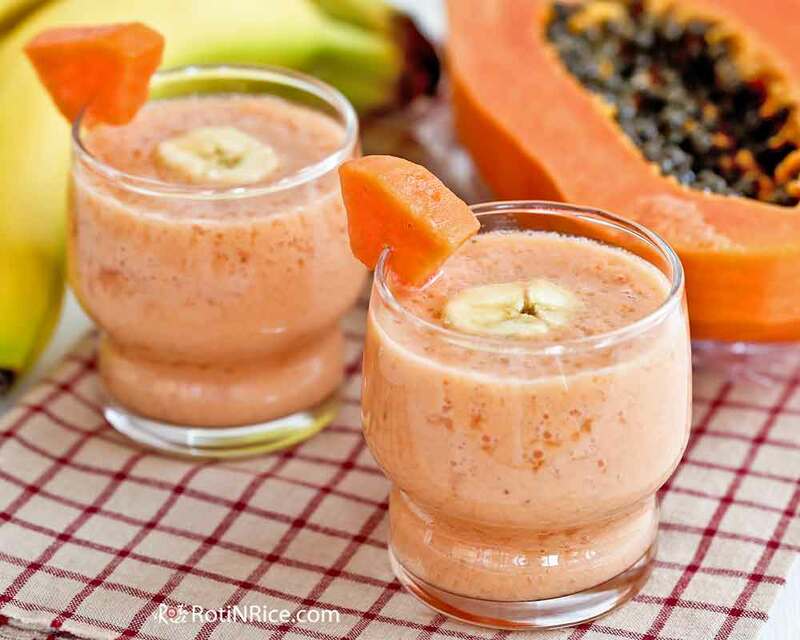 This time I decided to use a small portion of the fruit for this Papaya Banana Smoothie. I wasn’t sure quite what to expect as I have never used papaya in a smoothie. To my surprise, it turned out to be quite delicious! It is a great starter for the morning as its mellow taste is very soothing to the palate. 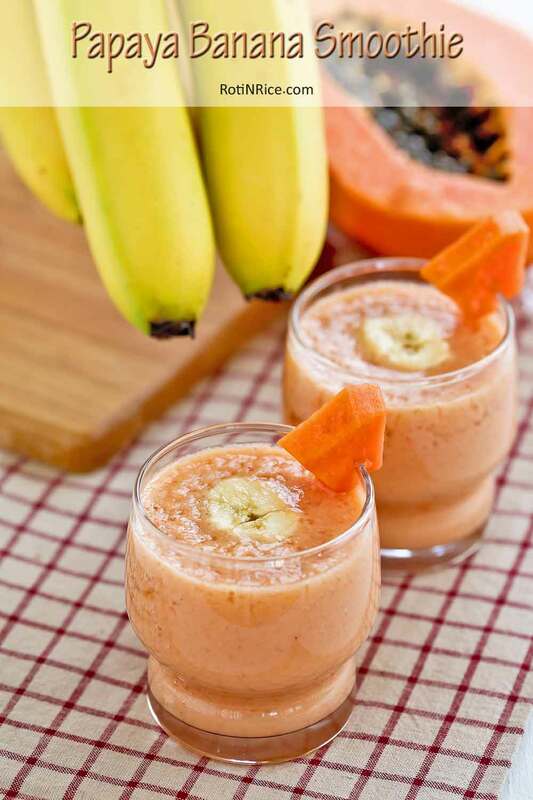 To make this Papaya Banana Smoothie I used unsweetened almond milk, my favorite base for smoothies. A banana was added to make the smoothie thicker and richer. No sweetener was necessary as both fruits are naturally sweet. Add a little honey or agave nectar if you like it a little sweeter. 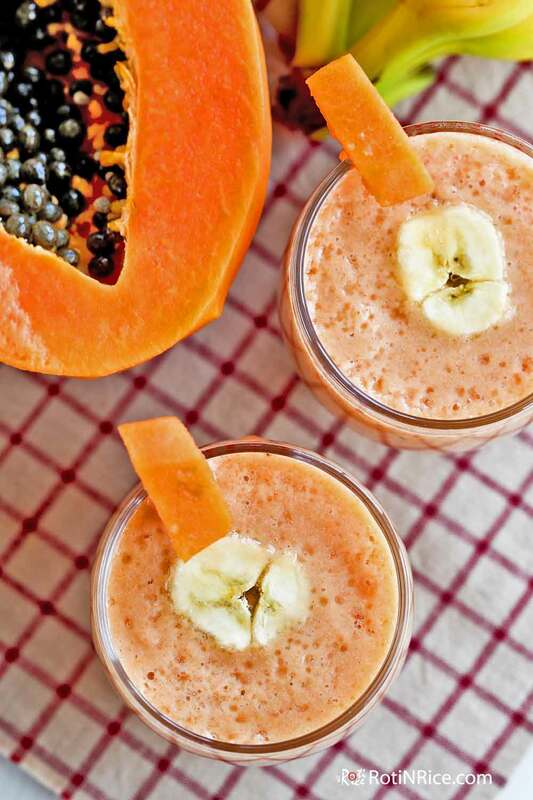 Combine papaya, banana, and almond milk in a blender. Blend until smooth. Remove and serve immediately. 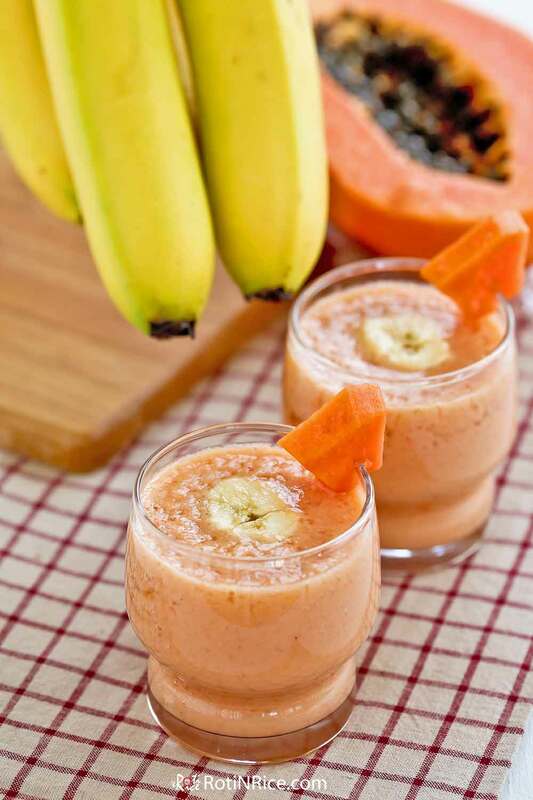 Do give this soothing Papaya Banana Smoothie a try. I hope you enjoy it as much as I do.